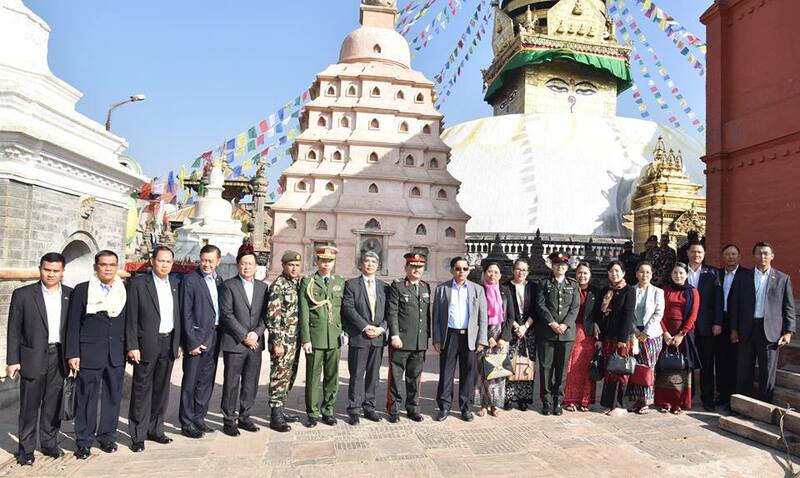 The Myanmar Tatmadaw goodwill delegation led by Commander-in-Chief of Defence Services Senior General Min Aung Hlaing who is on a goodwill visit in the Federal Democratic Republic of Nepal at the invitation of Nepalese Chief of Army Staff Gen. Ranjendra Chhetri visited round in Kathmandu this morning. 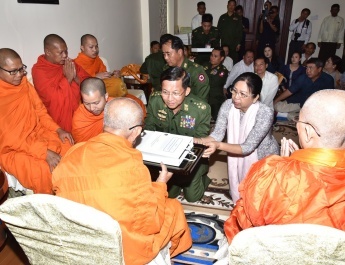 Upon arriving at Swayambhunath Pagoda, the Myanmar Tatmadaw goodwill delegation led by the Senior General and wife was welcomed by the officials. 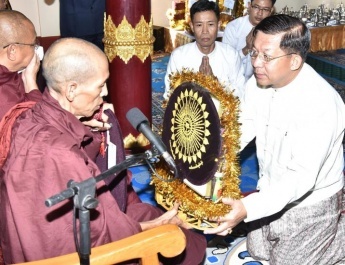 After paying homage and offered oil lamps to the Buddha Image at the pagoda, the Senior General and party looked round the pagoda where they were explained by responsible persons. The pagoda with 13 tiers, rounded by five en-circled pagodas, was carved out of a single boulder. 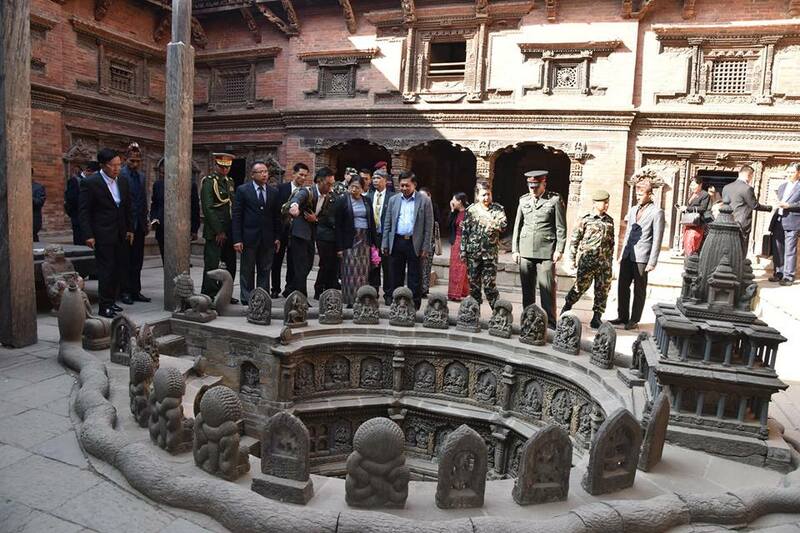 The Senior General and his entourage went to Patan Durbar Square and studied ancient artistic museums including Patan Museum where they were explained by an official. 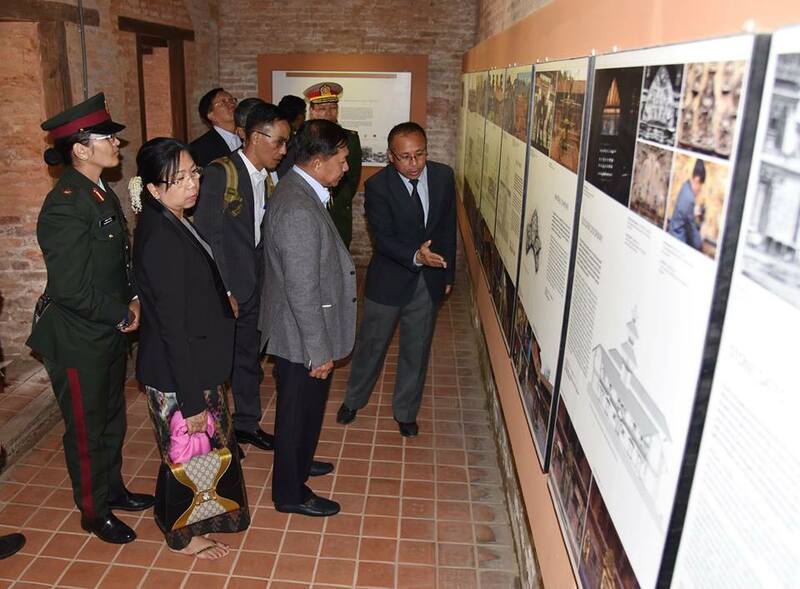 Then, the Senior General and wife, and party have documentary photo taken on the square. 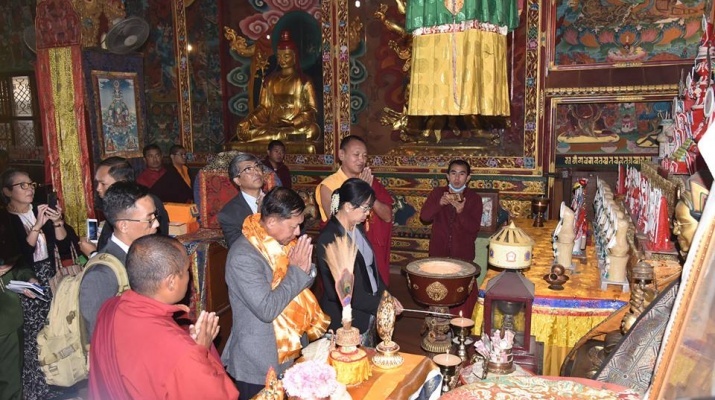 Patan Museum repairs and displays the religious edifices and palace buildings of Malla Dynasty which are included on the world heritages of the UNESCO. The museum was repaired with the finance and technical assistance of Austrian government and was opened as a state-owned museum in 1997. The ancient artistic works such as wood carving, mason and stone sculptures can be studied there. 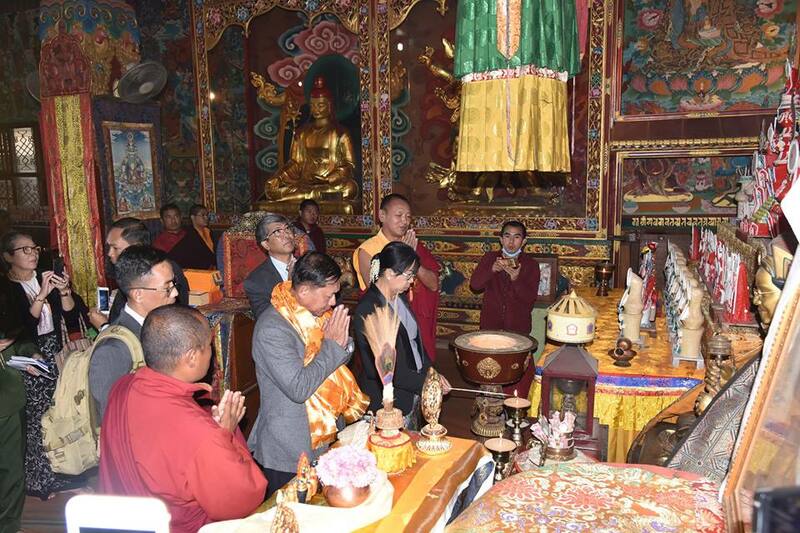 After that, the Senior General and party paid homage to Buddhanath Stupa and viewed round there. 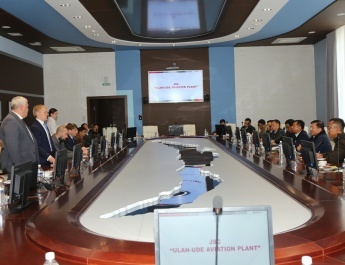 They were explained by officials. 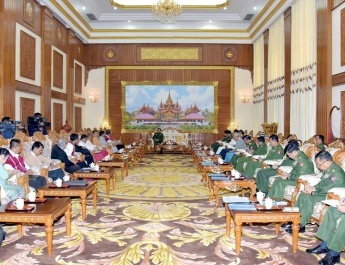 The Senior General and party have documentary photo taken at the stupa.